Abigail is a tiny red female who is approximately 2 years old. She is not tattooed, and weighs just a little over 30 pounds. 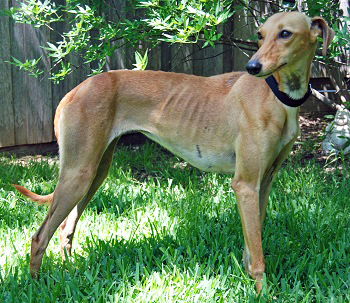 Abigail was found as a stray south of Dallas. We will be getting more flattering pictures of her shortly. 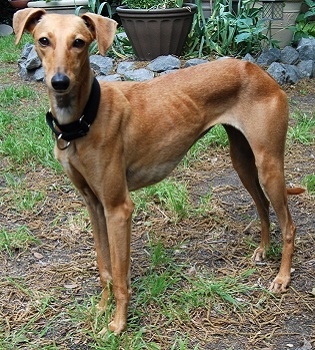 Abigail is living in a foster home with cats, greyhounds, and birds! This little bit of a girl is ready to sneak right into your heart.